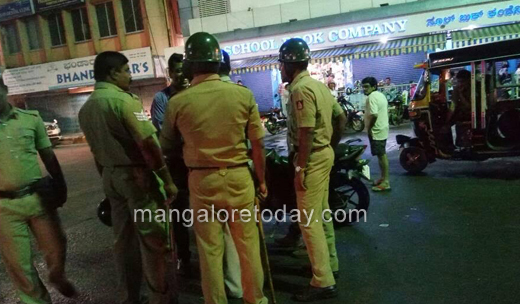 Mangaluru, June 27,2017 : In a case of moral policing at Carstreet in Mangaluru, a group tried to assault two lecturers who had accompanied a female student of another community to purchase books and other materials from a shop at Carstreet here on June 26, Monday evening. The incident took place when the three were returning after the purchases. Sources said the girl was a final semester engineering student while the lecturers were her guide for project work. The miscreants who were three in number had followed them in a bike. When they threatened and tried to assault the lecturers, the latter were eventually rescued by locals. 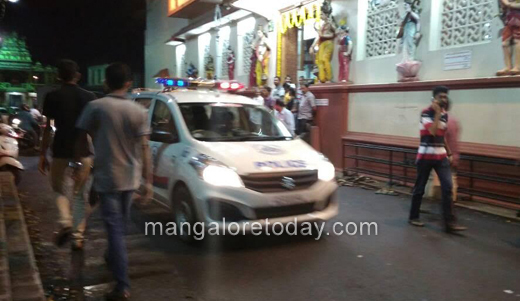 The police who rushed to the spot ensured that the situation did not go out of control. 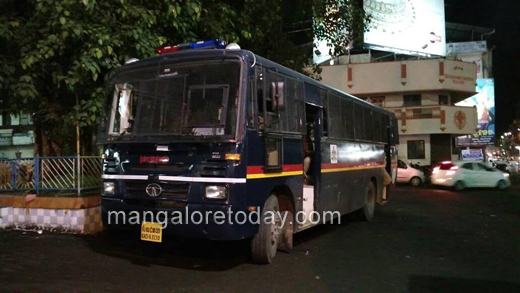 City Police Commissioner T R Suresh has said that the student as well as the two lecturers have been asked to file a complaint at Mangaluru North Police Station. Respect for one another is very important . Never give importance to religion as we aren’t born with ant label of religion or caste . It is we who have divided our self and put a barrier. Kumbala kayi kalla hegelu mutti nodida hage . It is wrong to go with the teachers for purchase? Uneducated and unemployed brutes are the one who get themselves involved in such things.